Aromatic coffee enjoyment. 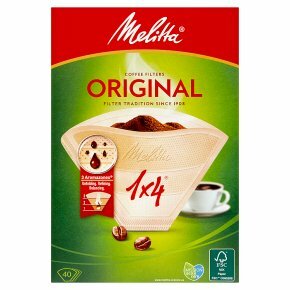 Aromapor in 3 zones - perfect aroma unfolding.Discover a balanced and even more flavoursome filter coffee taste experience with Melitta®Original Aroma Coffee Filters. The Aroma Coffee Filters are now separated into 3 Aroma Zones, each with a different number of perforations. This allows the Original Aroma Coffee Filters to give you the best in coffee enjoyment!